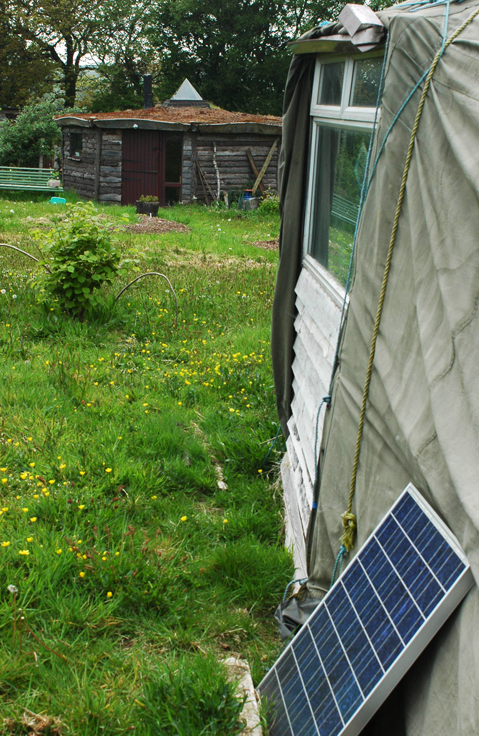 Landmatters is a 42 acre eco-community in Devon (near Totnes). 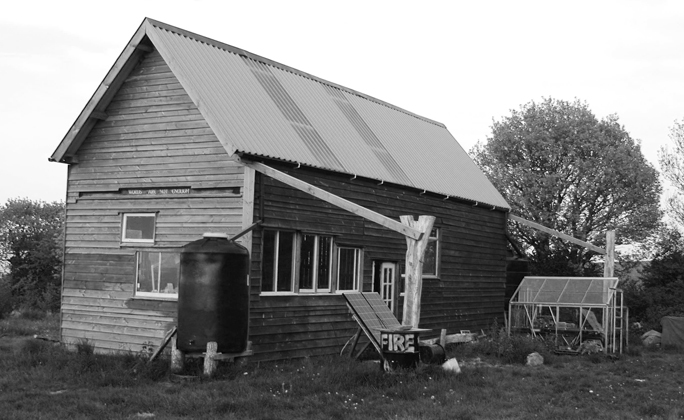 The land was brought collectively by Landmatters co-operative and when the residents came together over the purchase of the land it became clear that the common factor and core principle was permaculture. 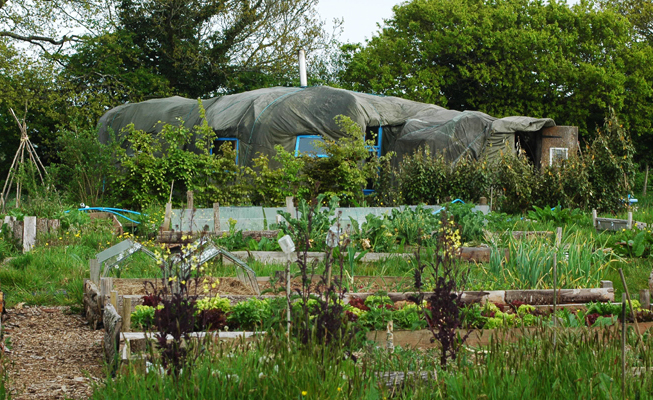 Thus they have used permaculture to structure how they have built their houses around the edge of a purposefully designed village green, and how they grow their food. Part of their remit is in experimenting in, and proving, what could be done with minimal impact. In terms of housing, all buildings are temporary because that was a condition of the planning permission. They are limited to 50 m2 for each home, and only for the number of dwellings present at the time of planning application. In other words they cannot constitute ‘operational development’ according to the planning decision. They are currently in the process of seeking to extend their planning permission which expires later this year (2010). 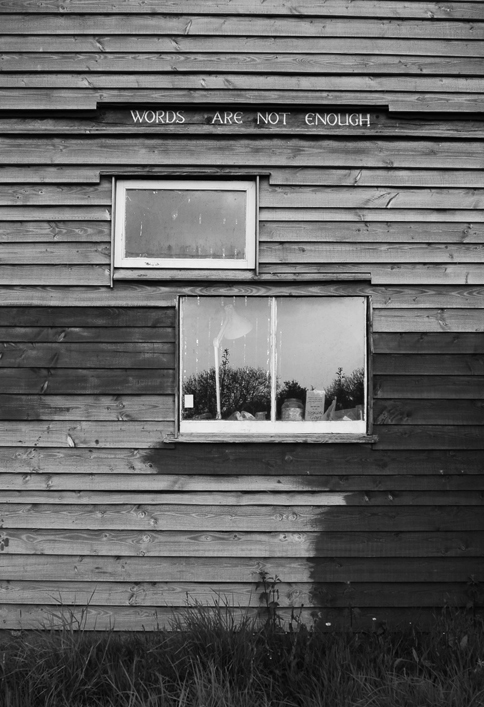 Until then they have a range of benders (some with wooden floors, some with straighter sides using poles into the ground, many with lots of windows), yurts and a wooden roundhouse. Most types of housing were chosen for practical reasons. 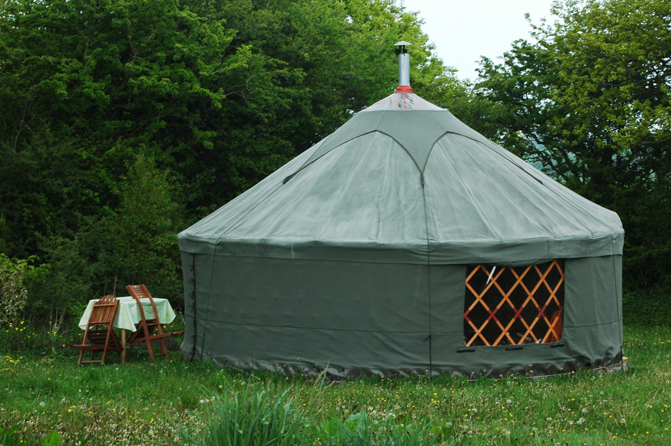 For example, benders are cheap and adaptable, a yurt can be easily purchased ‘off the shelf’ ready to assemble, and part of the variety of dwellings on site was that people had different skills and energy to build places. The barn was made from local wood from the site and wood brought from a local sawmill. 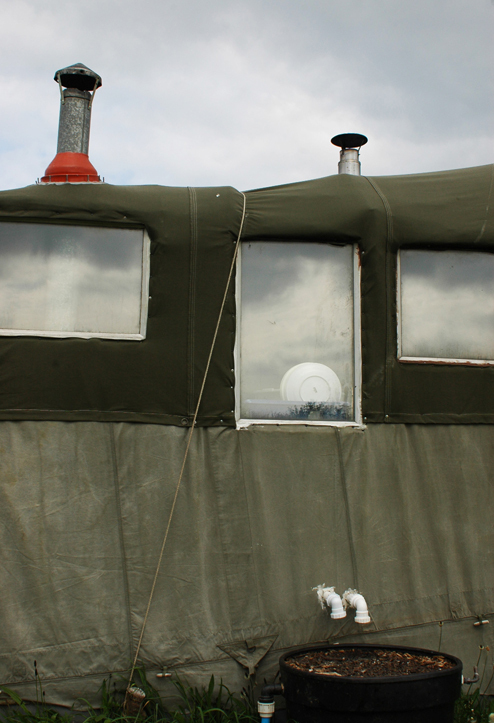 There are two wooden compost toilet blocks, one has two separate doors, a rainwater tank, sink, soap and mirror outside. The communal, which contains a kitchen, office, dining area and large sitting room, has recently been redesigned and re-built to encourage more communal use. With straight sides it provides plenty of height for usability (which is hard in a classic bender style) but retains a pretty woven hazel roof which they can replace when needed. The most recent building is the new bathhouse made from new planks with see-through plastic corrugated roof which creates a nice light inside. It contains a bathroom with additional shower for residents, shower rooms for volunteers and a separate washing area. But they have had to build it through experimentation which has taken longer than they had hoped. Using freely reclaimed material from skips or other peoples waste. Self-building all dwellings without the use of paid experts. 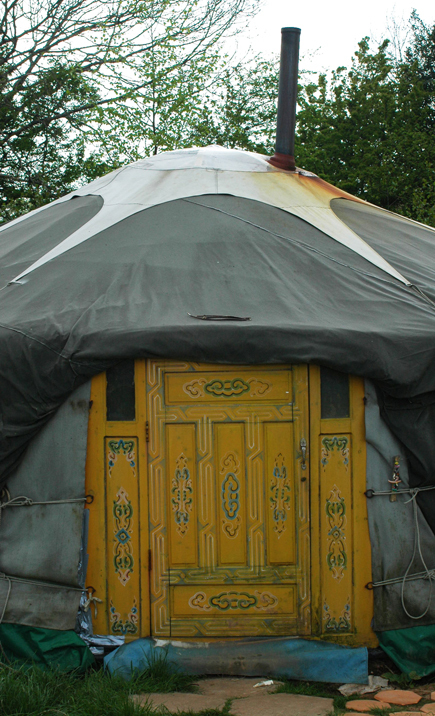 Designing the homes so that they can be modular – often combining a yurt with a bender which means it can be added onto easily when necessary. Sharing of the purchase cost of the land which has been the biggest expense and this has been dramatically reduced by sharing between residents. The homes are situated at the top of the hill on the site which means that they are able to benefit from passive solar gain, photovoltaic and wind turbines. Most dwellings have their own photovoltaic solar panel for electricity generation. Water comes from a 300 ft bore hole which provides all their drinking water and is extracted using a donated deep bore hand pump which has meant that they no longer need to use a fossil fuel generator. The way in which the ‘village’ is arranged means that all that you need is nearby (water, toilet etc), but is also challenges the notion that all that you need for a house is necessarily in one place. In other words unlike conventional homes the toilet is across a field and the water is in the other direction. It raises the question of what we conceive as included when we think about a home? 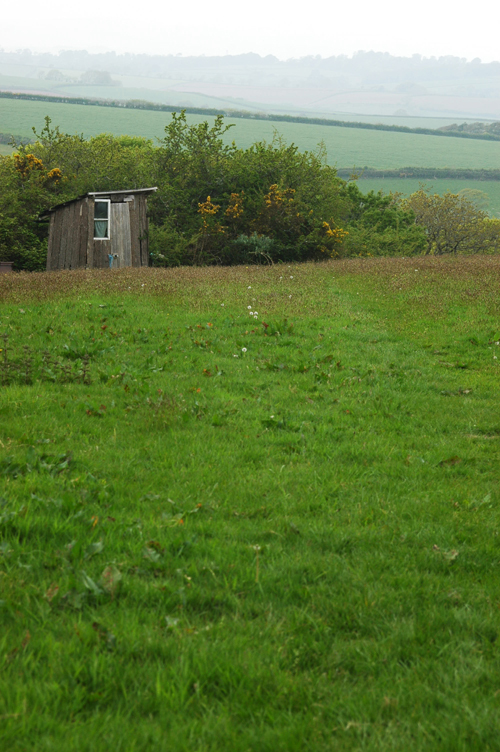 There are currently twelve adults living on site and 5 children. The community is run using collective non-hierarchical decision-making: This means they have regular meetings. Everyone has their own garden, but in the central areas are the communal gardens. 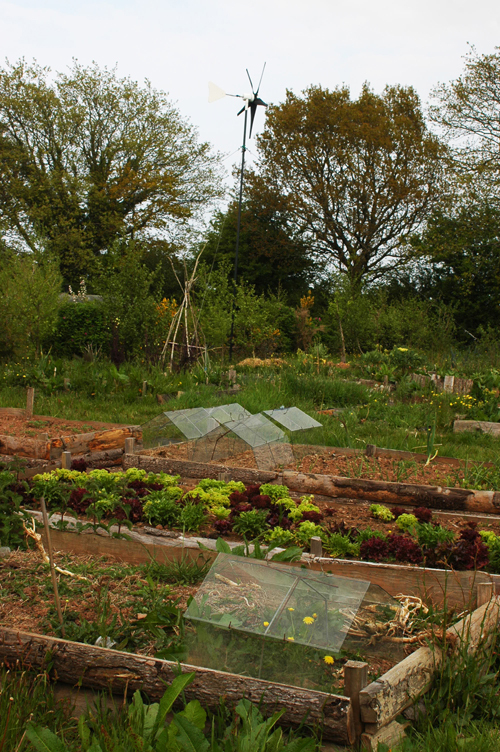 Most food in the gardens were being grown in raised beds built from off-cuts of sawn timber from a local timber yard. If you would like to visit Landmatters the best days for visiting are their Open Days every second Saturday of the month. Minibus transport from Totnes and back can be arranged. Other possible days for visiting are Wednesdays and Thursdays, which are our communal work days (however, people will be working and have less time to show you around). There are also a number of courses and events run on our land, please check their website for upcoming dates (www.landmatters.org.uk). If you want to volunteer at Landmatters for a longer stretch of time, please inquire via email (landmatters@gmail.com) or phone (01803 712718/ 07867 851382).